At Ross, production switchers are our passion. We have been making them since 1974 and they are the core of our business. Our production switchers are designed with the input of our customers – demanding customers like you that push our products to the limit and push us at Ross to make things better. Our goal is to provide the tools you need to get your creative vision on the air. 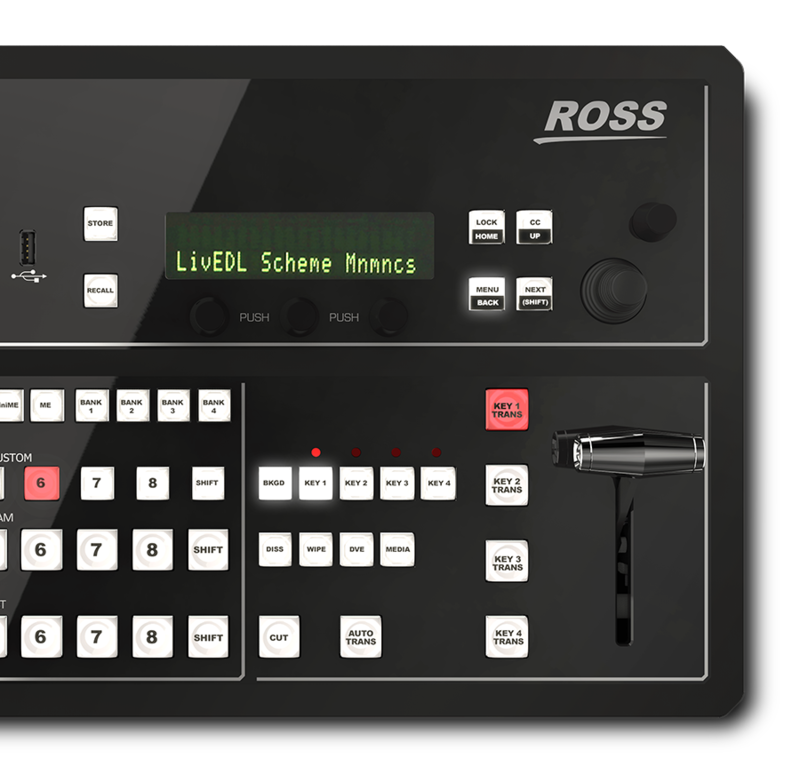 The result is groundbreaking production switchers with the live production power that you trust from Ross on an advanced platform that takes you into the future. Acuity is a breakthrough in modern production switcher technology, combining seemingly limitless production power with aesthetic beauty and unprecedented connectivity. Highly powerful and efficiently designed, Carbonite delivers unprecedented performance in a remarkably cost-effective package. More powerful, more compact and more affordable than ever, Carbonite Ultra uses the latest technology to distill the best of the Carbonite series into a single, next generation platform. The Carbonite Black Solo compact Production Switcher features a powerful single ME with 4 full-featured keyers, a transition keyer for DVE and Media wipes, 2 UltraChrome chroma keys, and much more. 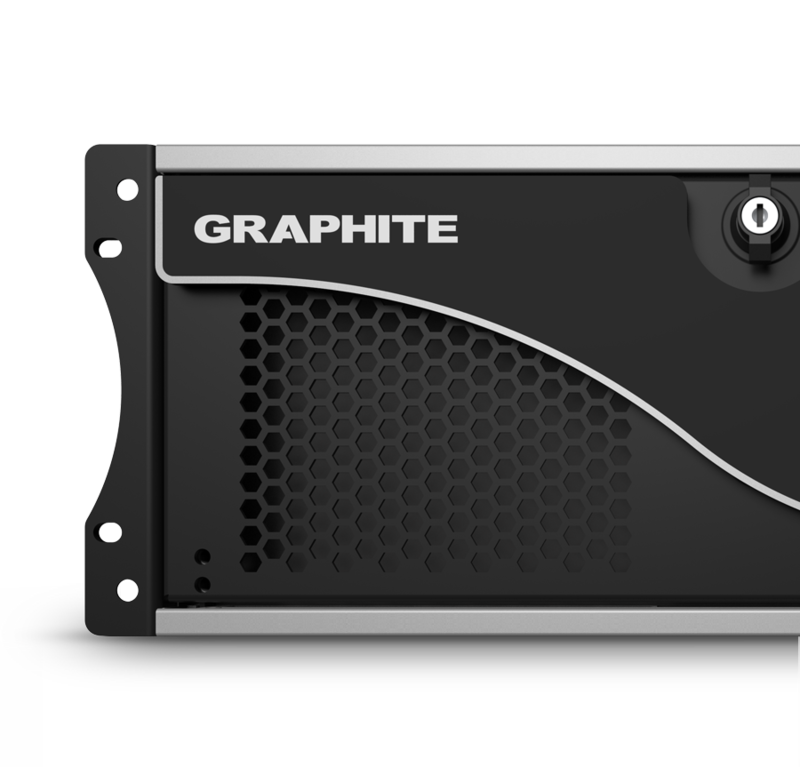 Graphite brings together the capabilities of a Carbonite production switcher, a feature rich version of XPression 3D motion graphics, two channels of XPression Clips server, and the newly developed RAVE audio engine, all within a single 4RU chassis.